“Macros” is what all the cool kids call macronutrients. 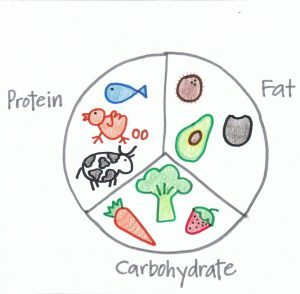 Macronutrients refer to the three basic components of every diet — carbohydrates, fat, and protein — with a bonus fourth, water. These are called macronutrients because they are the largest portion of any food and “macro” means “large”. Most foods have some combination of all the macronutrients, but they come in varying proportions. In this edition, we’ll discuss our friend protein. Proteins are long chains of amino acids that are essential for all of our bodies’ processes. Amino acids work to build up, break down, transport, and store nutrients throughout our body. The body can make some amino acids on its own, but it needs to get the others from food. These amino acids are called essential amino acids, because they are essential to our diet. Certain foods contain all of the essential amino acids we need. These are known as Complete Proteins. Other foods give us the essential amino acids when they are paired together. These are called Incomplete Proteins. Raw, unpasteurized dairy products like grass-fed yogurt, kefir, and raw cheeses! Choose whole fat yogurts without added sugars. *We recommend protein from Your Dekalb Farmer’s Market, Carlton Farms, Riverview Farms, Frolona Farm, Butcher Box, or the organic options from local grocery stores such as Sprouts or Whole Foods. *Check cookbooks in our library for recipes utilizing these ingredients! Incomplete Proteins are foods that are high in protein, but do not have all of the essential amino acids our bodies need. This is where food pairing comes in. By combining certain foods, we can create a complete protein. 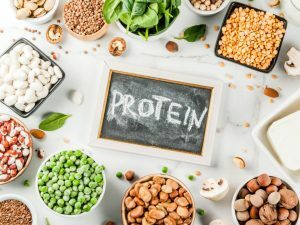 If you consume an incomplete protein without combining it to create complete protein, the protein component of that food won’t benefit you at all. Legumes are vegetables like peas, beans, chickpeas, and lentils. Vegetables high in protein are green leafy vegetables like kale, broccoli, collard greens, beet greens, and brussels sprouts. Also, zucchini, cauliflower, broccoli rabe, bok choy, and okra to name a few. A handful of nuts and a piece of fruit. Walnuts, almonds, cashews, pistachios, hazelnuts are great choices. Pair with fruit like green apples, red apples, bananas, berries, kiwi, grapefruit, peaches, pears, watermelon, and oranges. You can also make your own. Dip with veggies like carrots, cucumbers, and celery. Gluten free rolled or steel cut oats with no sugar or flavors with almond milk, cashew milk, or raw milk with fruit. Nut butters such as almond butter, cashew butter, or peanuts spread onto cucumbers, celery, or apples. Make sure to buy organic and avoid nut butters with added oil. 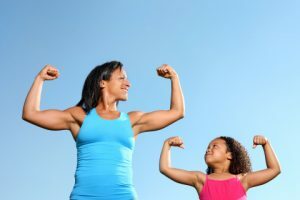 A more specific way to know how much protein your body needs is to take your body weight and divide that number in half – same as the number of ounces of water your body needs per day. The result is the amount in grams of protein you should ideally aim to eat each day. For example, someone who weighs 150 pounds should aim to eat 75 grams of protein daily. Make sure about 25 – 30% of your plate at each meal or snack is protein. This ensures you eat enough throughout the day and gives your body the right amount of protein it needs at any given time, since only so much can be utilized at once (the rest will be converted to sugar and stored as fat or eliminated). Because your body cannot store protein, eating it throughout the day is the surest way to balance your blood sugar levels, ward off hunger and support your metabolism.